Dear Devs, I'm giving away a free single music track to you, if you reply to this message explaining your project and needs. If you'll impress me, I'll create for free a single music track for your project! 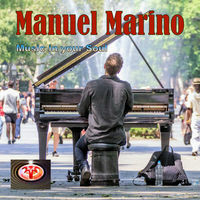 You can listen to this PLAYLIST http://www.jango.com/music/Manuel+Marino to have an idea of my style. This playlist has the best of the best from Electronic, Orchestral and other styles!